Five Alpine Pearls members (Werfenweng, Bad Reichenhall, Bled, Forni di Sopra, Moena) will involve their citizens in networking activities during the next two years, within GEMS project - inteGration and Solidarity European Models for Sustainability, co-funded by the EACEA Europe for Citizens Programme of the European Union. The project, coordinated by the Alpine Pearls Association, aims to define, across 5 international events, innovative models for Alpine local development, able to answer common challenges of the current European scenario. The project establishes a pilot action for civic engagement in the Alpine Region, which will be promoted among all Pearls of the Alpine Pearls Network. More than 400 representatives of civil society organizations and interested citizens will be selected and send by their Alpine Pearl members to represent their communities in conferences and seminars hosted across the network, during the next two years. 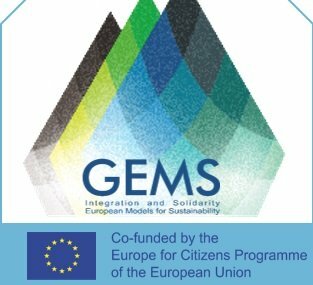 GEMS events, coordinated by the project scientific partner (Institute of International Sociology of Gorizia -ISIG, Italy), will present to the involved communities the European policies and opportunities for civic engagement and sustainability. Moreover, the five Alpine Pearls will have the opportunity to exchange best practices and debate on their applicability at network level, in fields such as sustainable tourism, soft mobility, volunteering and solidarity, intercultural and intergenerational dialogue.